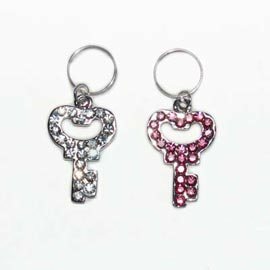 Lovely key collar charm studded in pink or clear rhinestones by Dogo Design. Adds alot of bling to any dog collar. Available in pink for girl dogs or clear for the boy or girl dogs.